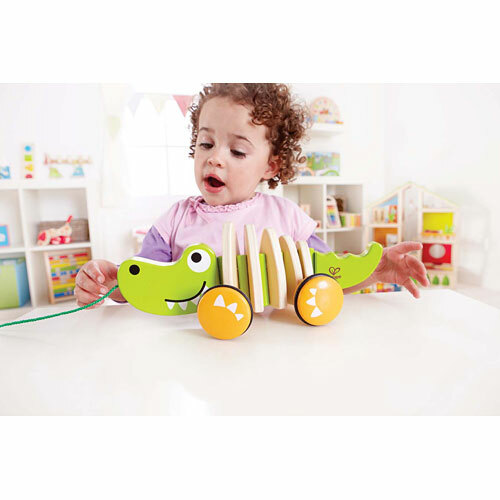 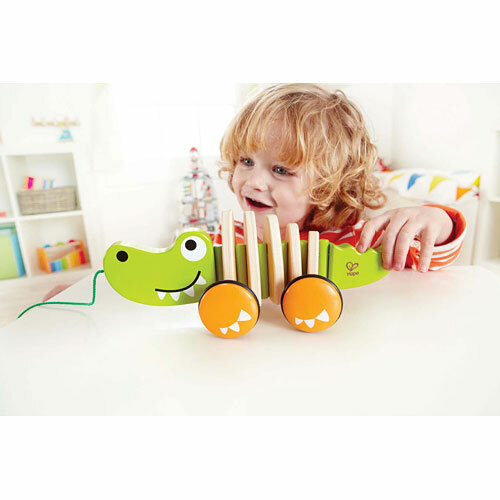 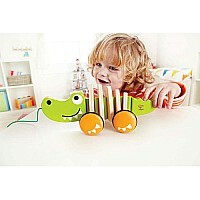 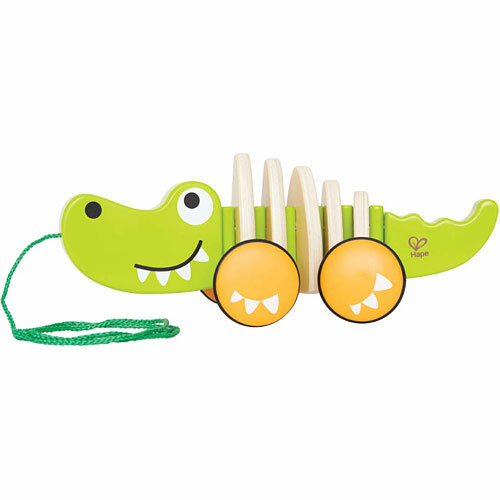 - The Walk-A-Long Croc from Hape is a fun, wiggly, walking companion! 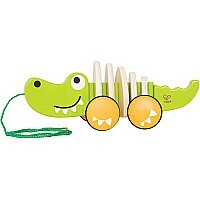 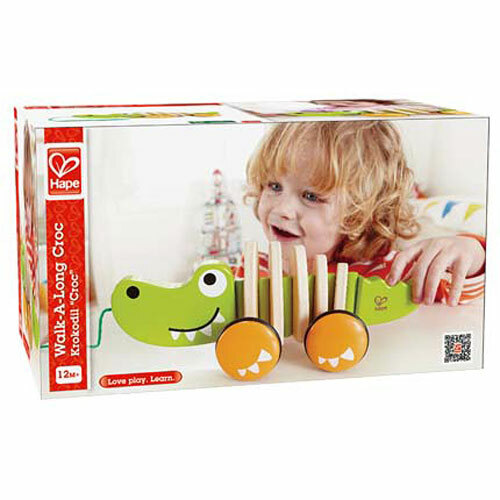 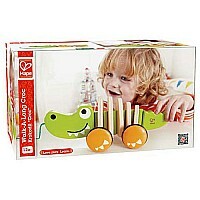 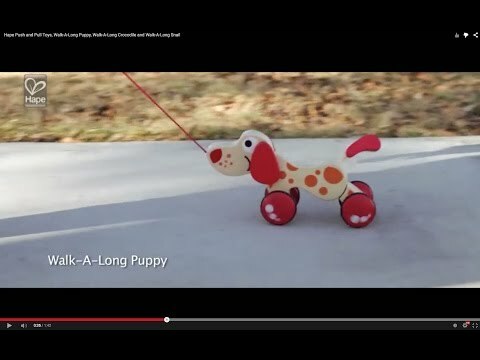 - Hape's Walk-A-Long Croc is one unit with no additional pieces. 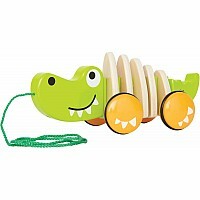 Measures approximately: 11.62 x 4.33 x 4.26 inches..